Speaking of the big Star Wars Battlefront 2 controversy of the past couple of days, more and more details are emerging and no one seems to want to admit blame for anything that’s happening. Players were enraged days before the official release (Nov 17th) because of the multiplayer monetization methods that are being called aggressive and predatory. First, it had loot boxes, which people weren’t keen on. Then, they tried to modify the loot box system to calm the angered fans, but they may have even made things worse. 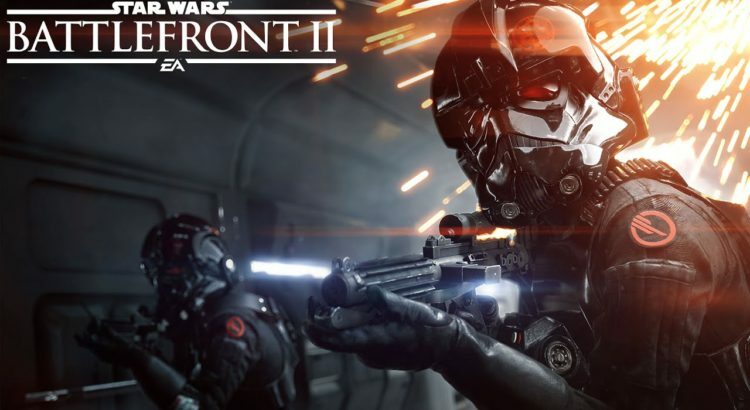 As review copies made their rounds, details came out about the game that includes Star Wars Battlefront 2’s wildly expensive hero/villain unlocks, requiring countless hours of play in order to amass enough credits to purchase just one character. The restrictions that were uncovered, combined with EAs poor solution to the backlash just made it worse. So, before the game even officially launched, pre-orders were allegedly cancelled in droves. Some developers tied to the project even reported receiving death threats. While that’s definitely taking it too far, it’s still easy to understand why players are upset. The much-hyped game that was supposed to be even better than its predecessor seems to be falling apart before it even launches. Things flew out of control for both EA and DICE and it wasn’t long before even other developers jumped on the bandwagon to criticize them for the mess ups. Gaijin Entertainment took to War Thunder’s official Facebook page to post an image poking fun at the hated Reddit comment that has broken the record for the most downvotes on Reddit in history, and boasted about how you can “play the bad guys for free”. Blizzard also jumped on the opportunity to poke some fun while announcing StarCraft II will be moving to free to play.